Browse Artists and Groups Berthe Des Clayes, R.C.A. Born in Aberdeen, Scotland, Berthe Des Clayes is the older sister of Alice Des Clayes (1890-1968) and Gertrude Des Clayes (1879-1949). She studied at the Bushey School of Art in England with B. Herkomer and at the Academie Julian in Paris with Tony Robert-Fleury and Jules Lefebvre. Berthe Des Clayes lived in London from 1906 to 1912, then settled in Montreal. In 1919-20, she returned overseas and spent the year travelling in England and France, finally settling in Chorleywood, England until 1931. She then returned to Montreal until 1951. In 1967, she went to live in Devon, England, where she died the following year, at the age of 91. During her career she won the Jessie Dow Prize twice. She regularly attended the Spring Exhibition held at the Museum of Fine Arts in Montreal and the annual exhibitions of the Royal Academy of Arts of Canada. 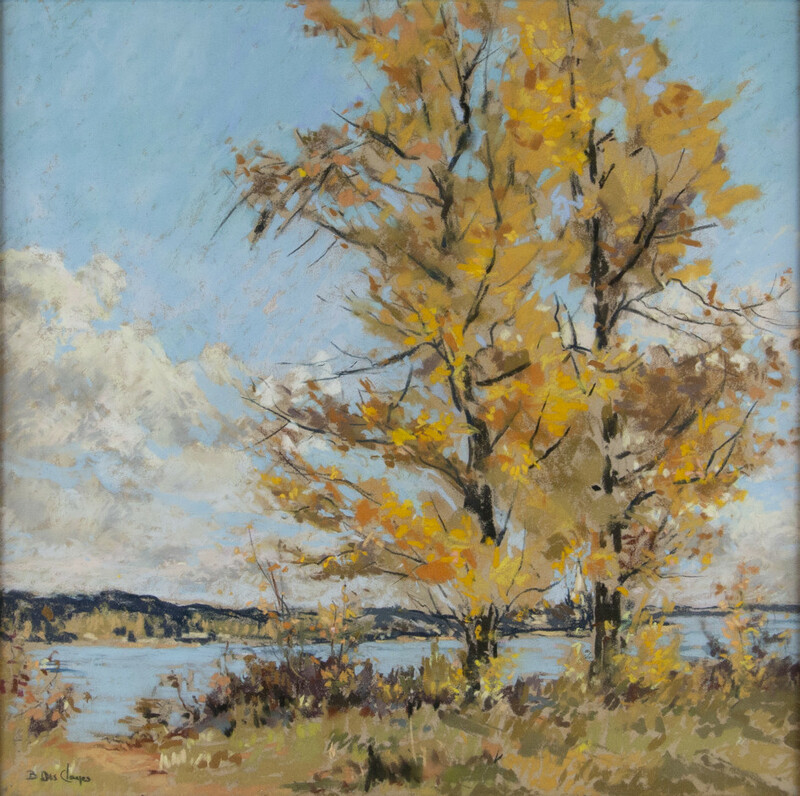 She illustrated the Canadian landscape in two books: Here and There in Montreal and The Island of Montreal by Charles W. Stokes and Acadia (Nova Scotia) published by the Dominion Atlantic Railway. 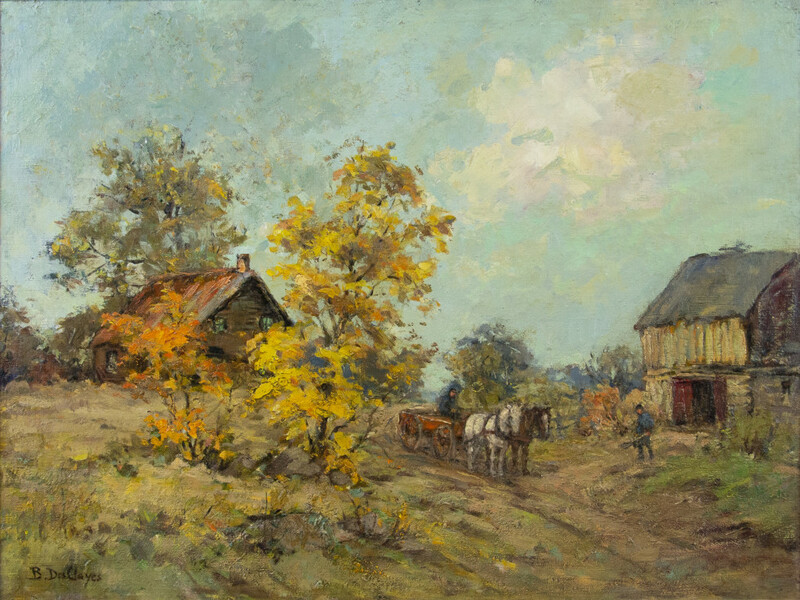 Her works can be found in several museum collections: the Musée National des Beaux-Arts du Québec, Montreal Museum of Fine Arts, National Art Gallery of Canada in Ottawa, Art Gallery of Ontario in Toronto, University of Calgary in Alberta, University of British Columbia in Vancouver and the National Archives in Canada. Berthe Des Clayes was an Associate Member of the Royal Canadian Academy of the Arts. Please send me more details about the following artist. Berthe Des Clayes, R.C.A. signed "Berthe Des Clayes." (recto, lower left). titled "Autumn, Eastern Townships." (verso).